A residents’ advice service for those living in south Barnsley has people claim almost £2.7m in benefits they might otherwise have not received since it was launched almost two years ago. The service is operated by the Citizens Advice Bureau on behalf of Barnsley Council’s South Area Council, which works to improve conditions for residents in Birdwell, Hoyland, Wombwell, Darfield and surrounding communities. CAB staff believe every £1 invested has brought a return of £31, but councillors believe a more accurate figure could be as high as £45 when all factors are taken into account. The statistics show more than 2,000 have been given help, some of them more than once, and more than half of those who have been assisted were classed as vulnerable. In addition to helping with benefit claims, advisors have helped people sort out debts totalling almost £1m. CAB spokesman David Handy told councillors that since July last year, advisors have helped 123 people who had benefit claims rejected take their cases to appeal, with a success rate estimated at 80 per cent. Some of the money may be spent locally, providing a boost for businesses in the area, but some will also go on household staples such as paying utility bills. 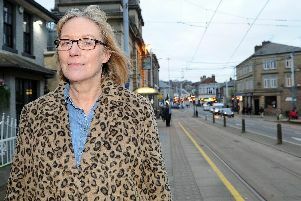 Numbers of older people using the service have been higher than CAB expects, compared to other services across Barnsley, with 42 per cent aged over 55, compared to the CAB’s general figure of 29 per cent for that age bracket. In addition, 64 per cent of those using the service have long term health issues or disabilities, against 34 per cent for CAB’s borough wide client base, suggesting an aging population in the district.